Probably no. How about now? Do you know this kid? Now you’re like, “Hell yeah. 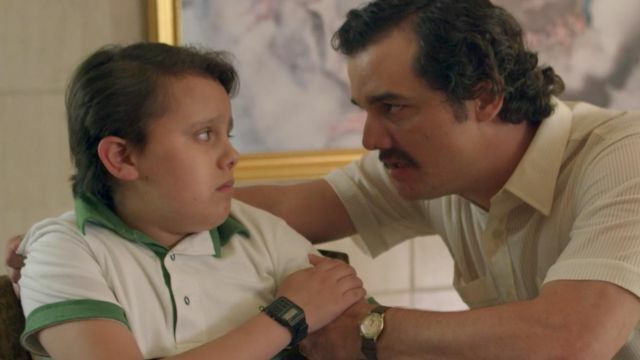 I know him.” The above still; that has Wagner Moura, who plays Pablo Escobar, and Juan Murcia who essays the character of Escobar’s son Juan; is from Netflix drama ‘Narcos’. 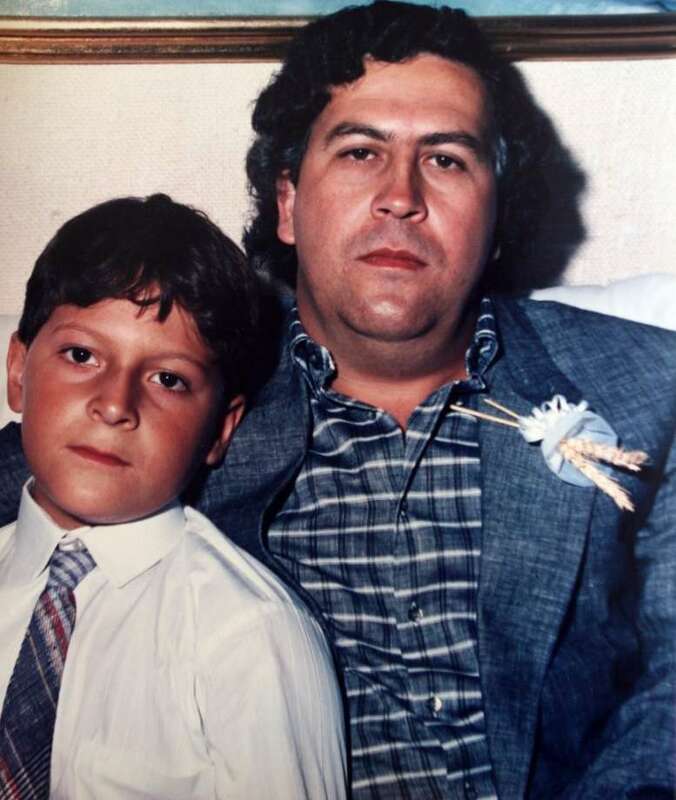 And this is the real life Pablo Escobar and his son Juan Pablo Escobar, who later changed his name to Sebastian Marroquin. Sebastian, an architect and author, arrived in Nepal earlier this week on Thursday (September 13). He shared some pictures of himself being greeted (probably in a hotel?) in Kathmandu on his social media handles. The purpose of his visit is not yet known (but don’t worry, there’s nothing to be concerned about. He is a good guy.) He now lives in Argentina and apart from being an architect, he travels the world giving lectures about his father, “not to defend him, but so that people can learn from his mistakes,” he had said in an interview. 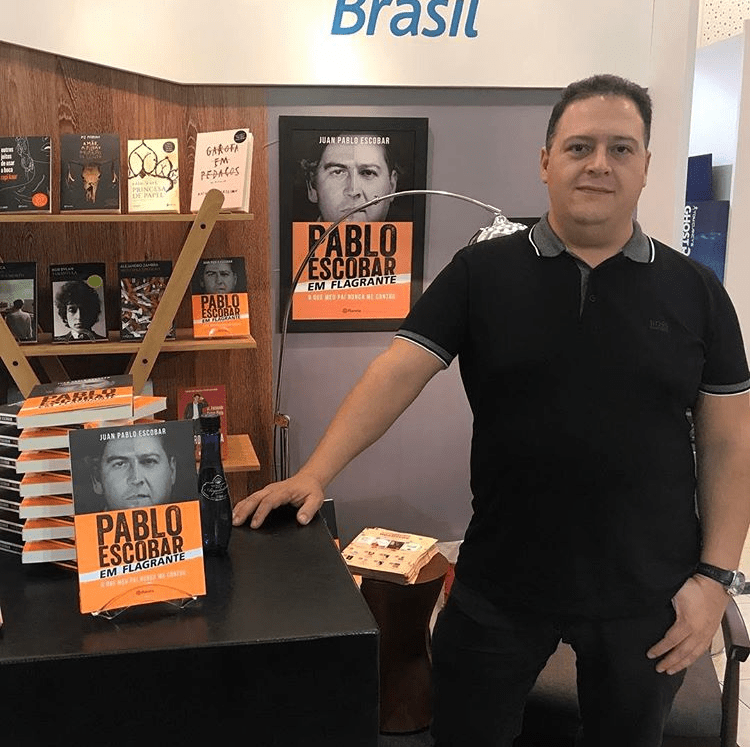 The eldest son of Pablo Escobar, the most notorious drug lord in the history of Colombia; Sebastian was born in Medellin, Colombia, in 1977. 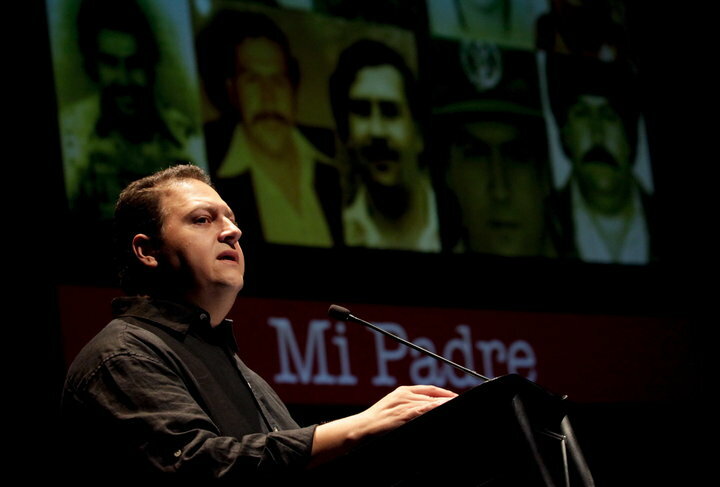 In 1993, when he was 17, his father died following a police chase through the streets of Medellin. When he learned about his father’s death through a journalist, he had immediately vowed to avenge the killing during a live broadcast. “I will kill all those fuckers. I’ll kill them myself”, he had said at the time. There were speculations that he would be his father’s successor, but that didn’t really happen. He along with his mother and his sister were forced (by the powerful drug traffickers) to live an exiled life in Argentina. In 2009, Sebastian starred in a documentary called ‘Sins of my Father’ and later wrote a book about his father ‘Pablo Escobar: My Father’. He also has a clothing brand Escobar Henao. He surely has been through a lot in life. We hope he has some wonderful time in Nepal. Enjoy your time here, Mr. Marroquin.